A new year, a new you? 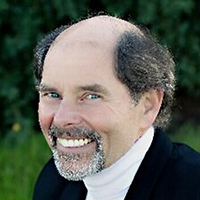 Stewart Levine has spent over three decades speaking to legal professionals after suffering from burnout as a lawyer himself. His new book—The Best Lawyer You Can Be: A Guide to Physical, Mental, Emotional, and Spiritual Wellness—combines personal experiences and essays from industry leaders, meant to inspire far beyond January’s best intentions. In this episode of the Modern Law Library, ABA Publishing’s Ashley Alfirevic speaks to Levine about how to engage in self-reflection, and how to implement more positive habits, self-care and collaboration into the often-stressful lawyer lifestyle. Many people promise to exercise, meditate or volunteer as New Year’s Day approaches. Others may pledge to work better with colleagues at the office or make family a priority at home. Levine had lived the high-pressure life of a prominent attorney and litigated himself out of meaningful relationships before realizing something had to change. In this episode, Levine tells Alfirevic that in a profession often plagued by high incidences of mental illness and personal conflict, leading a healthier lifestyle isn’t just an aspirational goal, but a necessary one. Listeners can purchase The Best Lawyer You Can Be through the ABA webstore. Tune in to learn more. Stewart Levine is the founder of ResolutionWorks. 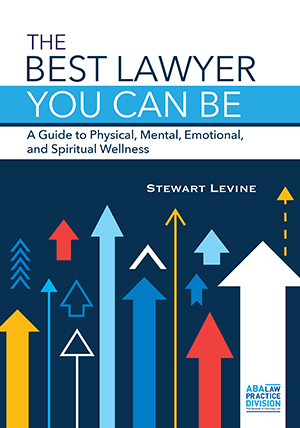 Stewart is a “resolutionary,” counselor, mediator, facilitator, trainer, former lawyer and author of The Best Lawyer You Can Be: A Guide to Physical, Mental, Emotional, and Spiritual Wellness, published by the ABA Law Practice Division. He teaches communication and conflict management skills for the American Management Association, CEO Space and the International Partnering Institute. He is a lecturer at the University of California Berkeley Law School and the MBA program at Dominican University of California.